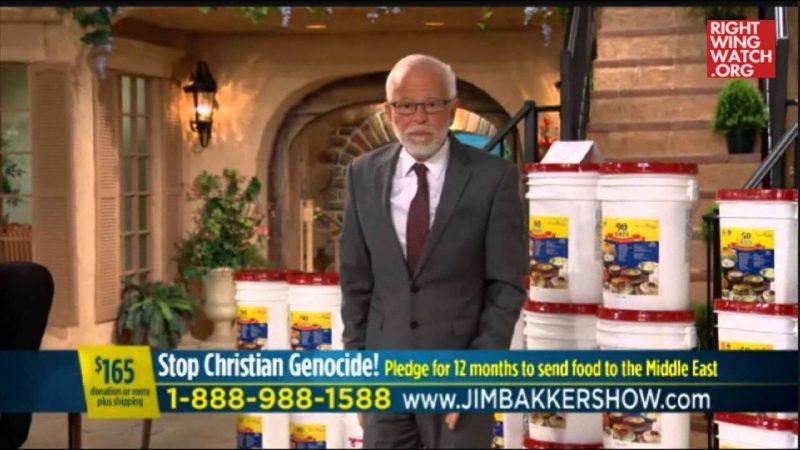 Televangelist Jim Bakker, hawking his trademark buckets of survival food on his program earlier this month, warned his studio audience that they must hide the food they store up in preparation for the Last Days because as the world collapses, even their “sweet neighbors” will become so ravenously hungry that they will steal food and even eat their own babies (this is not the first time Bakker has used the threat of cannibalism to sell his survival food buckets). 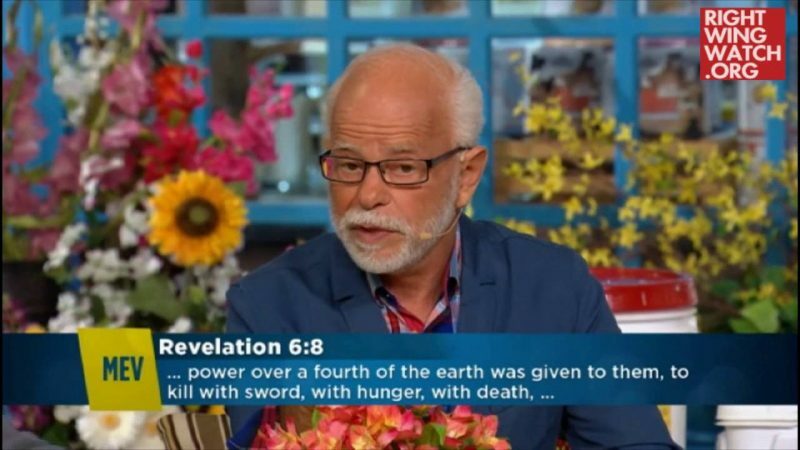 “The Bible says they’re going to eat their arms, the Bible says they’re going to eat their babies, then it says they’re going to eat their children,” he warned. 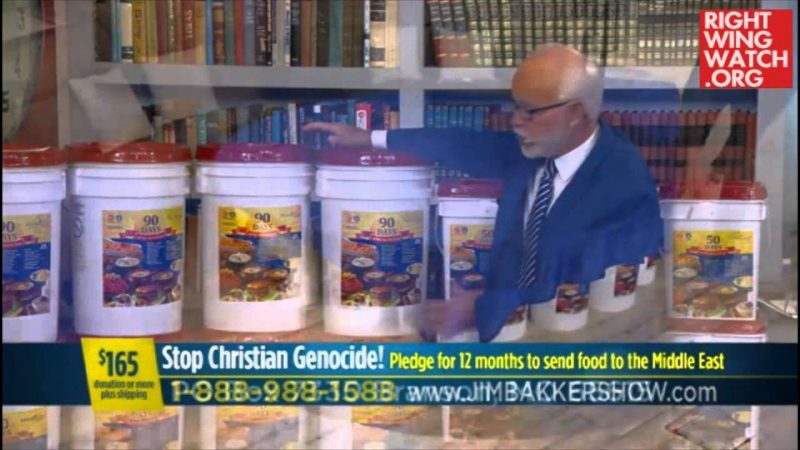 “That’s what people do when they get hungry.” In order to prepare for this, Bakker encourages viewers to buy buckets of food that he advertises on his show but not inform their neighbors that they have done so. 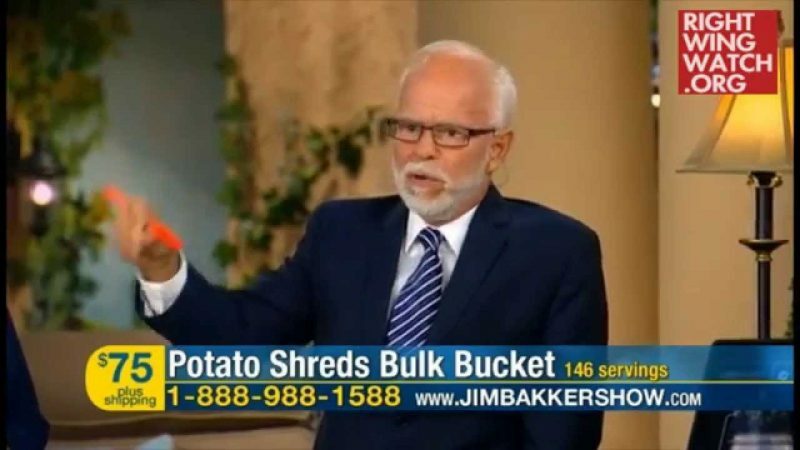 Jim Bakker: Decorate Your Living Room With Food Buckets!